Today is the last day for leaving a public comment at Medicaid.gov regarding Texas Governor Greg Abbott’s request for a waiver for the state’s Healthy Texas Women program. 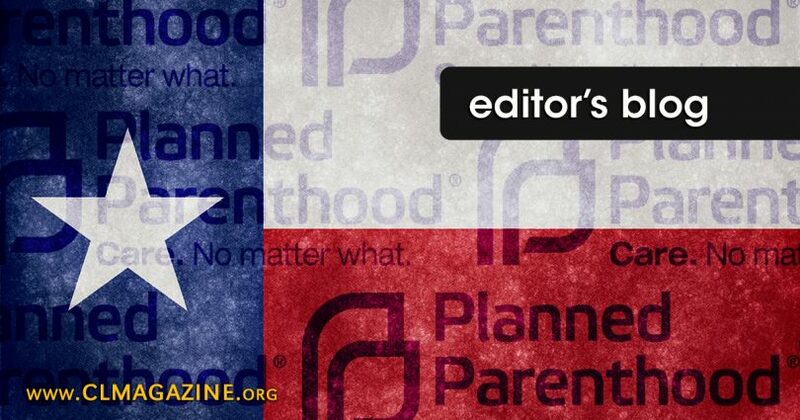 The wavier would exclude Planned Parenthood from receiving taxpayer funding in the State of Texas. We have just one chance to stop them: They are asking for federal funding for their ironically named “Healthy Texas Women” Program — a program that blocks access to care at Planned Parenthood and has had catastrophic consequences for women’s health. Right now, the Centers for Medicare and Medicaid Services (also known as CMS) is accepting comments from the public on this request — but the deadline to submit comments is on Friday. Instead of making Texans stronger and healthier, the ironically-named “Healthy Texas Women” Program takes health care away from the people who need it most. Exporting it nationwide could have devastating effects. The state’s own numbers show that approximately 30,000 fewer women have received birth control, cancer screenings, and other care as a result of this program. These policies are hardest on people who already face barriers to health care, especially young women, women of color, those who live in rural areas, and women with low incomes. If the rest of the nation goes the way of Texas, it would result in a public health crisis for millions of women. I urge the Trump administration to protect — not rip away — access to care. The aptly-named “Healthy Texas Women” Program provides healthcare for many in need. Exporting it nationwide would have a life-saving effect for countless individuals. Based on its 2015-2016 Annual Report, Planned Parenthood’s own numbers show that the organization did more abortions than cancer screenings; Planned Parenthood’s market share for HIV tests is 1.4%, < 1% for Pap tests, and 35.4% for abortion. Planned Parenthood’s policies are irreversibly devastating for the victims of abortion and often toxic to the mental health of many post-abortive women. If the rest of the nation goes the way of Texas, it would result in a resurgence of authentic and life-saving healthcare for millions. I urge the Trump administration to protect and promote true healthcare in Texas and exclude Planned Parenthood from taxpayer money. Don’t let PP and its supporters drown out the pro-life opposition. Speak up, especially on behalf of innocent preborn children who cannot speak for themselves! Simply cut and paste my edited comment into the Medicaid comment box for Healthy Texas Women, or write your own comment in favor of the waiver.